Reasons why James Bond ordered his martini "shaken, not stirred"
"Shaken, not stirred." Those timeless words of James Bond are known to all generations. 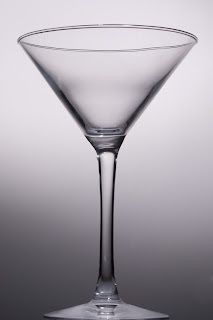 Yet is it really the best way for consumers to enjoy a martini? According to News.com.au, shaking is not the traditional option. The Huffington Post blames all that shaking for the 'cloudiness' of the concoction. The drink would get cold and light as the ice melts. Live Science reported on scientists who revealed why Bond ordered this variation. It's because of health reasons, possibly from drinking to much to begin with. "James Bond's famous catchphrase "shaken, not stirred" may have stemmed from his inability to stir his drinks due to an alcohol-induced tremor affecting his hands, researchers reveal in a new, tongue-in-cheek medical report. Such a tremor would be likely in a spy who drank more than four times the recommended limit of alcohol throughout his missions, they said, writing in a special Christmas issue of the BMJ — a lighthearted edition of the medical journal that includes real research." Now we know there are explanations behind this choice of drink. Scientists revealed a medical explanation for Bond's menu choices, even if the mixologists would not recommend these for most consumers.